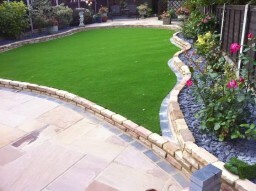 LANDSCAPING - From designing your perfect garden or patio to building your dream BBQ or boundary walls. PAVING AND PATIOS - Why not make the most of your outdoor space, call Chris today and he can bring your design ideas to life. If you need Chris' advice, or simply need to talk to him about anything relating to your garden or landscaping needs, please feel free to get in touch with him today.